Rebecca Pellegrim from Louisiana will soon relax at Kupu Kupu Spa as she’s the winner of this week’s raffle. She has been on Okinawa only three months but says she’s already deep in love with the place. She likes to go shopping and drive around with her kids visiting beaches around the island. She also likes to spend time in the gym. 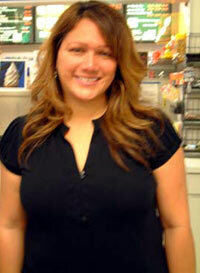 Veronica Villapando won a gift coupon from Inca Deep T Massage. She is from San Marcos, Texas, and has been on the island four months. She says she enjoys “every bit of life here!” Specifically she likes to go camping at Okuma with her family.